Spotted this in the supermarket the other day. Rest assured, most children in Denmark watch Danish channels and read Danish-produced magazines and literature. There are, of course, foreign publications translated into Danish. Which is fine, of course. 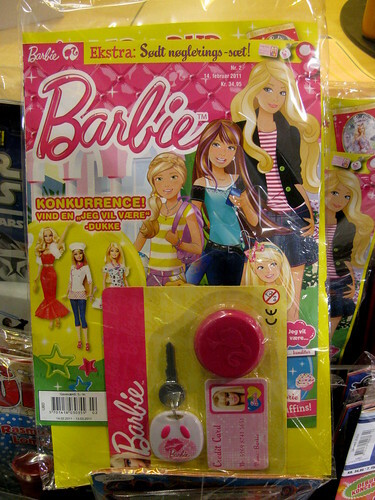 This Barbie magazine is one example. There is one aspect of it that is Lost in Translation and a bit of a culture clash. The free plastic bits at the bottom right. 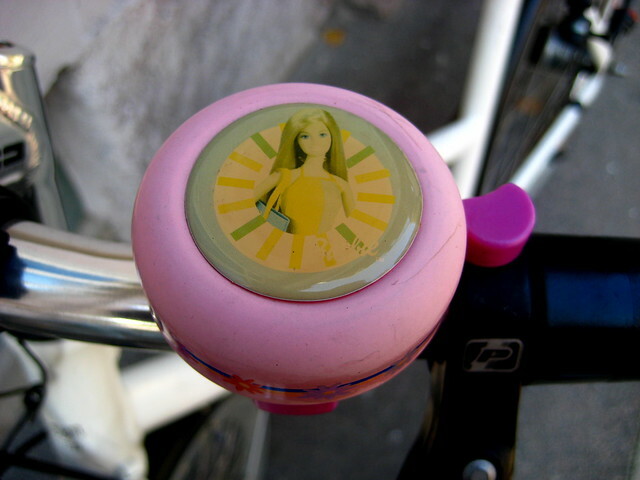 It's a Barbie driving licence and a car key. I can't figure out what the red, round thing is. Perhaps it's lipgloss or make-up - because that is an integral part of driving culture, as you can see here. It's a bit funny this. In Copenhagen, anyway. While many people may get a driving licence at some point after they turn 18, only 40% of Copenhageners own cars. If I look at my friends and contemporaries, most of them got their first car at the same time they had kids. In many cases, when they had their second kid. In the mid-thirties, in other words. In contrast, there are easily 30,000 cargo bikes in Greater Copenhagen. 25% of families with two or more kids have one. The thought of buying a car when you turn 18 in Copenhagen doesn't really register on your radar. Spending money on a backpacking trip around the world or a new flat or whatever rank much higher on your list of priorities. Even getting a driving licence is often farther down the list, not least because it costs between 5000-10000 kroner ($1000-$2000) to get one. That's a lot of beer money. 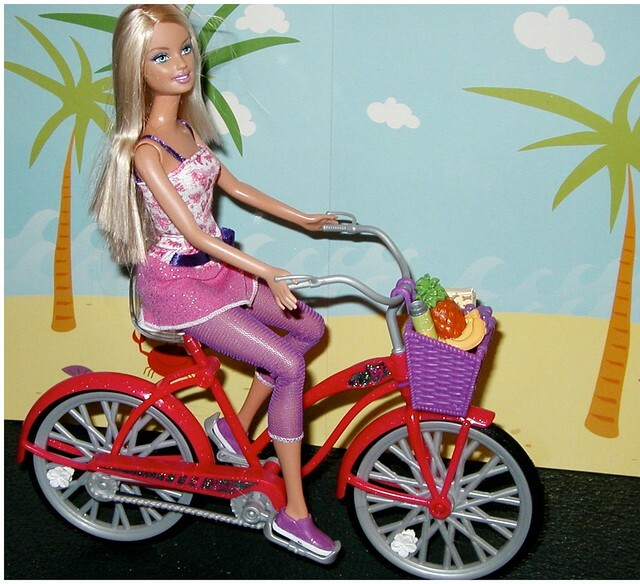 So Barbie may be global, but the girl is off target with her free plastic bits in the magazine. With all that said, one myth persists about cars in Denmark. I still hear people commenting that because Denmark has a 180% tax on cars nobody can afford them. This is not at all true. It's like I said, a question of priority. If you live in Copenhagen with all our safe bicycle infrastructure and public transport offers you simply don't need a car. The same applies to many Danish cities. However, if you live in the provinces, getting a car IS a priority out there. Many young people, upon turning 18, are quick to get a driving licence and a car. Which shows that purchasing a car is not out of reach of our pocketbooks. The high taxes on cars certainly help discourage buying one but they are not so high as to prohibit people - young or old - who want one from acquiring one.